Looking to add some more sparkle to an already beautiful engagement ring - or right hand stacking ring? Look no further, this bling filled five stone wrap band features five 3mm stones in Sterling Silver, 14k Rose Gold, 14k Yellow Gold or 14k Palladium White Gold. 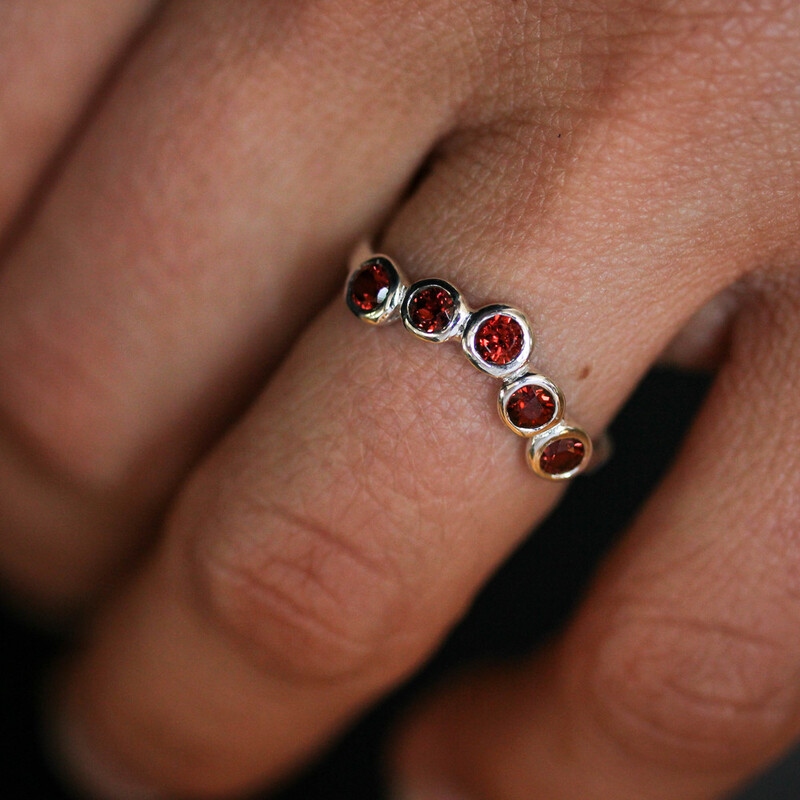 Sterling Silver and Garnet are featured above and available for purchase here. Interested in sapphire, moissanite or possibly another stone? Send us a message! Madelynn Cassin Designs is a small independently owned jewelry company in Southern New Hampshire. We love big juicy gemstones, vibrant colors and creating beautiful pieces start to finish. Sign up to receive news about special Sales and Promotions!